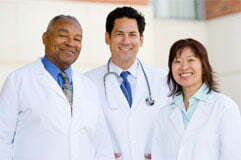 NDE affiliated physicians perform nationwide disability, civil and workers’ compensation IMEs. Our physicians answer questions about the medical nature, cause and treatment of injuries by reviewing appropriate medical records, taking detailed histories, documenting patient complaints, and answering questions using evidence-based, objective medical standards. Early Assessment Examinations allow for an early, accurate determination on appropriateness of care, further diagnostic testing and predicting longer-term patient needs after an accident or incident. FCEs provide objective and complete assessments of an employee’s level of physical functioning, while offering objective evidence when used in conjunction with an IME. These types of evaluations are performed for claimants under short-Term Disability circumstances, determining return-to-work dates and temporary restricted return to work assignments. Experts determine whether an employee can continue working or return to the workplace without causing harm to themselves or others. When entities are faced with conflicting opinions regarding a specific claim or case, our experts provide evidence based objective opinions to clarify medical and impairment issues. (FMLE’s) Evaluating an employee’s ability to return to the workplace after a long period of leave. These evaluations assist management to determine appropriate duration of leave and alternative return-to-work options. Our experts’ reports help managers to better assess financial exposure, while objectively resolving differences of opinion between treating and assessing providers. With over 36 areas of medical specialization, government entities, insurance carriers and attorneys across the country turn to NDE’s physicians for high quality, cost-effective and timely medical advisory reports.